On this page we list some of the forth-coming and past presentations done by the Enigma Project. Not everyone can work out what this diagram means, or shows, but if you can, then it's both interesting and useful. 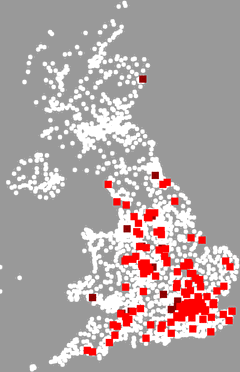 The map at left shows the geographical location, and the dots in the grid show when the talk will be. 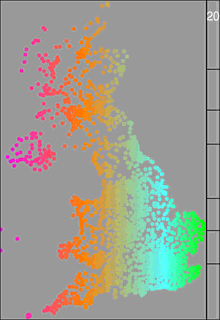 The colour of the dot corresponds with the left/right colouring of the map of the UK. 2009-06-08 Sotogrande International School, Spain ? 2010-04-27 Warwickshire Federation of Women's Institutes, tbc CV34?